AQ900L-Regid machine construction, small installation area with large travel. Large size wire cut EDM machine with all accuracy and quality you would expect from Sodick. High speed, precision and accuracy with linear motors, also for the machining of work-pieces up to 2000 kg - the AQ900L makes it possible. 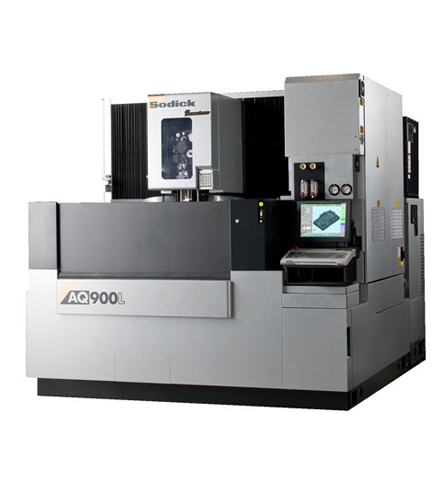 In response to the growing demand for large dies spurred by the huge popularity of large screen TV's, the AQ900L, also equipped with Power supply have been designed especially for machining large size dies for large size components as well as for automobile parts such as instruments, panels and bumpers.